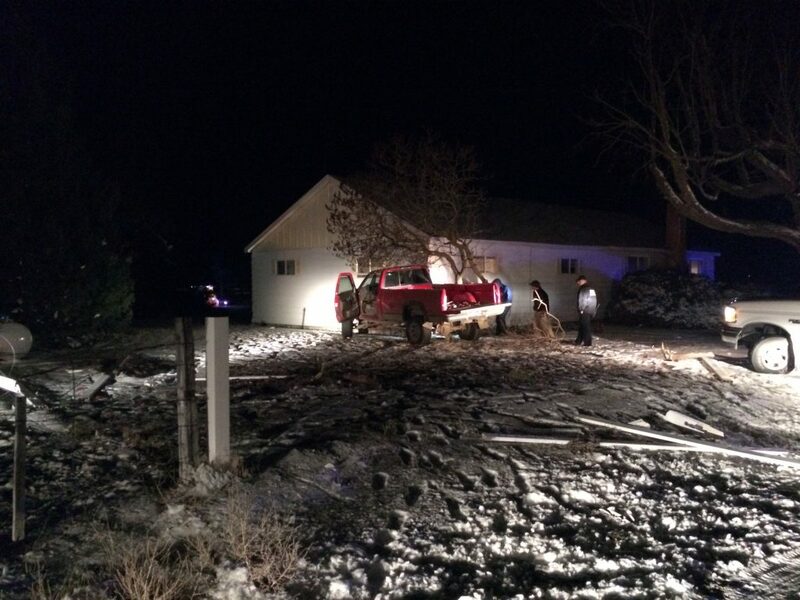 A 24-year-old man told Kuna Police he was checking his cell phone when he lost control of his truck and drove it into the side of a home Tuesday night. Driver Corey West was not hurt in the crash. Kuna Police cited West for inattentive driving. No one inside the home in the 300 block of South Stroebel Road was hurt as a result of the collision, but a wall of the home was damaged. A resident of the home called Kuna Police just after 7:30 p.m. Tuesday. When officers arrived, they found a red GMC Sierra pickup smashed into a wall of the home. West identified himself as the driver and told officers he lost control of the truck while checking a text message on his phone. The truck went off the side of the road and knocked over a fence. The truck went about 150 feet before hitting the home.